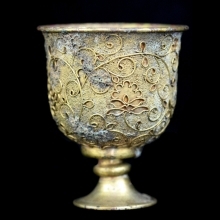 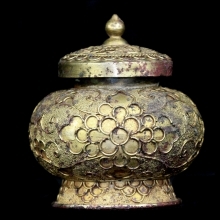 A Chinese Tang Dynasty gilt brozne stem cup. 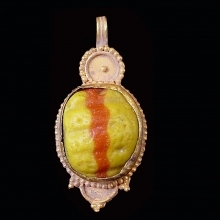 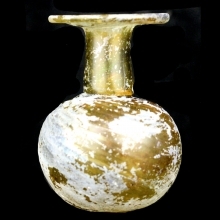 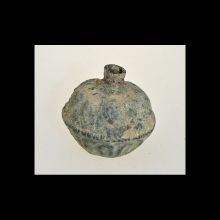 A very fine Roman yellow mold-blown glass bottle with ribbed surface. 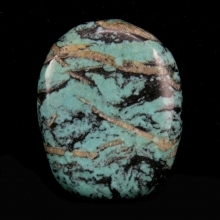 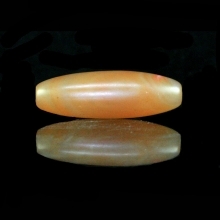 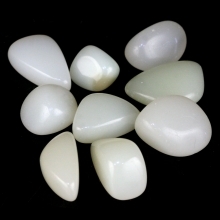 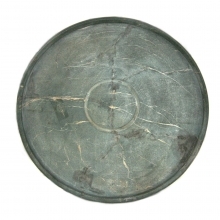 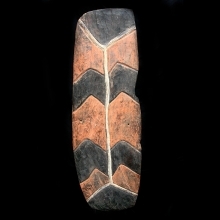 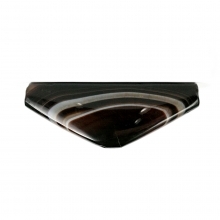 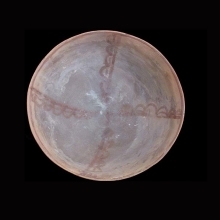 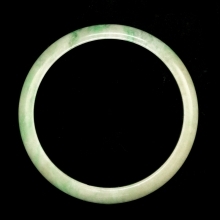 A large agate barrel shape eye bead. 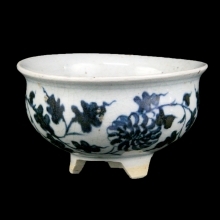 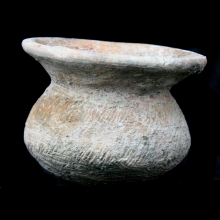 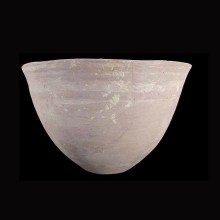 Chinese Xia Dynasty pottery vessel. 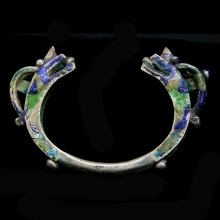 An enamelled silver dragon terminal bracelet. 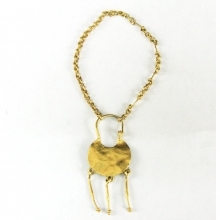 A Roman gold child's bracelet. 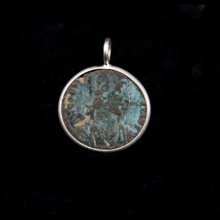 Constantius II 337 - 361 AD bronze coin set in silver mount as a pendant. 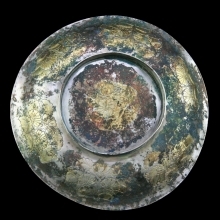 A fine Tang parcel-gilt copper bowl with engraved floral motif. 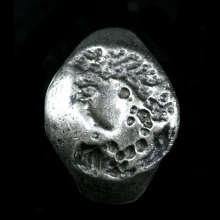 Sumerian fossilised shell amulet in the form of a lion. 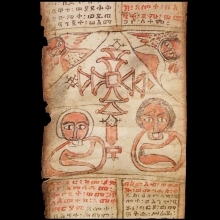 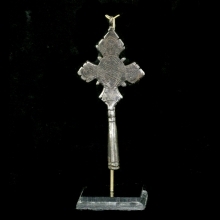 Ethiopian iron cross engraved with angels. 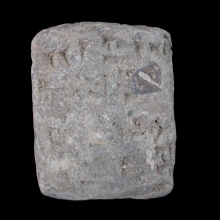 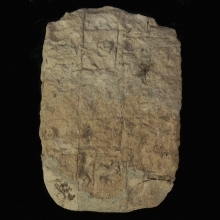 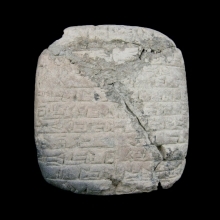 A Neo-Babylonian clay bulla the image of two figures. 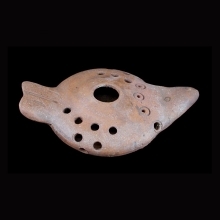 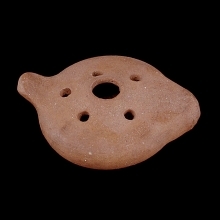 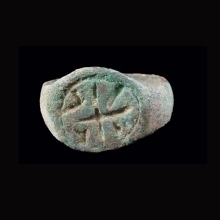 A votive red terracotta oil lamp with with an incised Menorah. 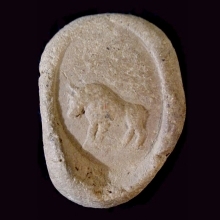 A Phoenician clay bulla the image depicting a bull. 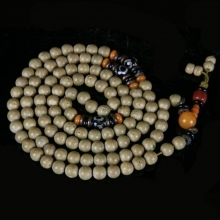 Roman red coral and glass bead necklace. 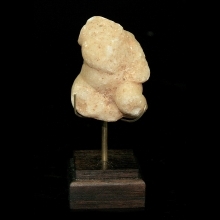 Hellenistic marble figure of a "Putti" angel. 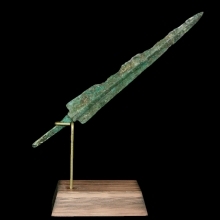 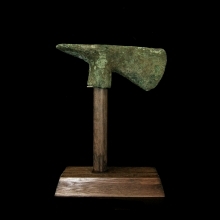 An Hellenistic bronze Peltast arrow head. 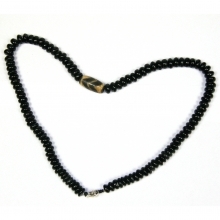 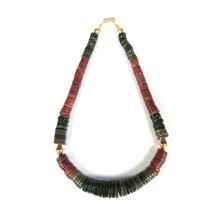 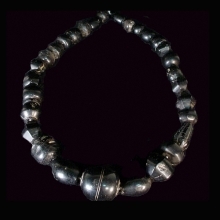 Greater Persian jet beads necklace. 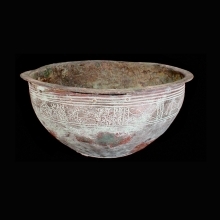 Indo-Iranian large rare bronze bowl with engraved Zebu bulls and other animals. 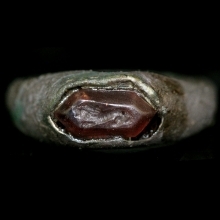 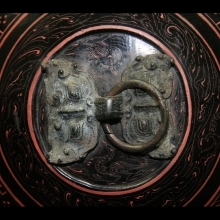 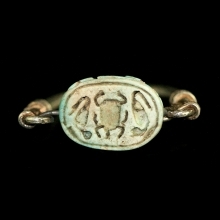 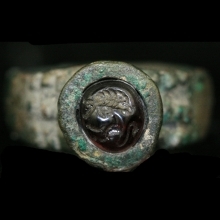 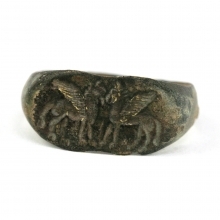 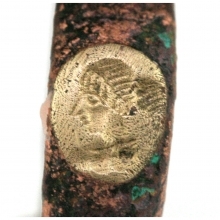 Sassanian bronze ring, bezel engraved with monogram. 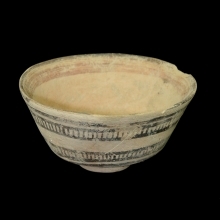 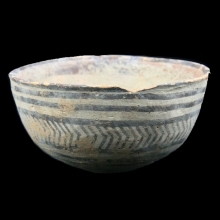 An Indo-Iranian pottery bowl with geometric motif in brown pigment. 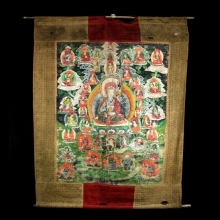 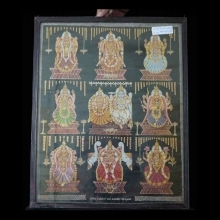 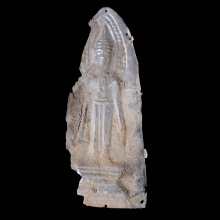 A Buddhist copper plaque depicting a Donor. 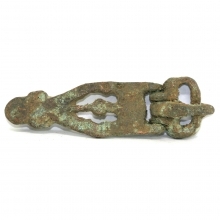 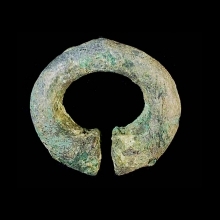 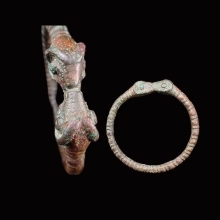 A bronze bracelet with ram's head terminals. 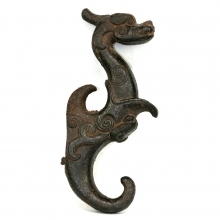 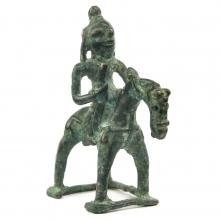 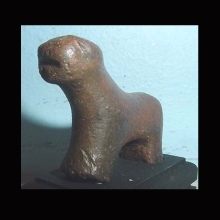 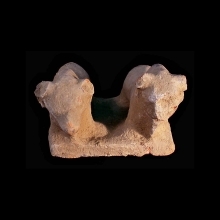 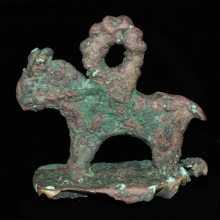 An Amlash solid cast figure of a quadruped; reddish patina. 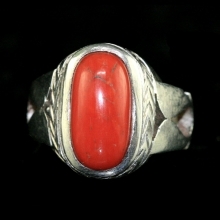 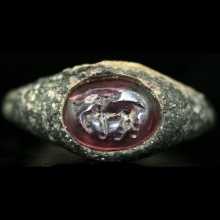 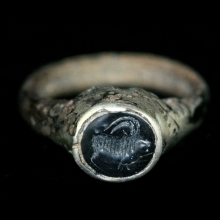 Indo-Greek silver lady's ring set with onyx bezel, engraved with ibex. 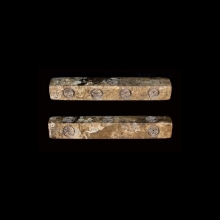 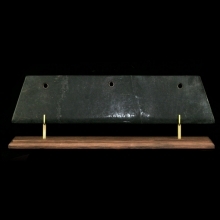 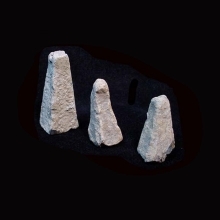 A group of three Roman lead weights. 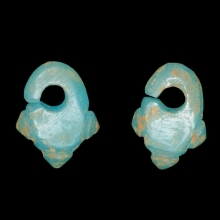 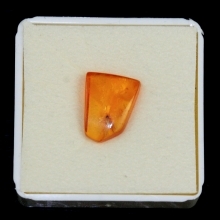 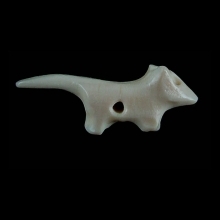 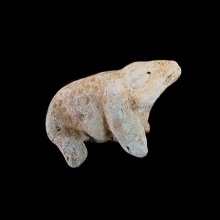 Indus Valley aragonite bead in the form of a rat. 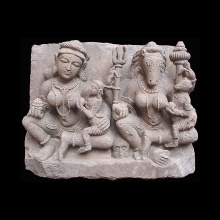 A finely carved sandstone sculpture of a pair of yoginis. 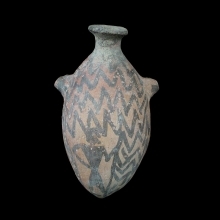 An Indus Valley pottery askos, with linear and figurative designs in brown pigment. 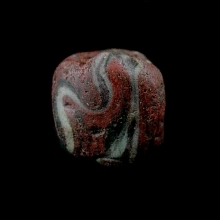 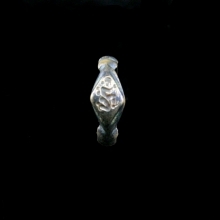 Indus Valley faïence bead amulet in form of a frog. 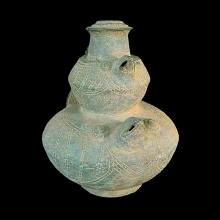 A Khmer bronze libation double bird vessel. 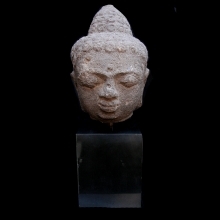 A Chandraketugarh clay head depicting a young man. 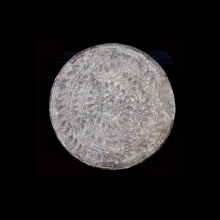 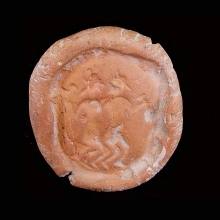 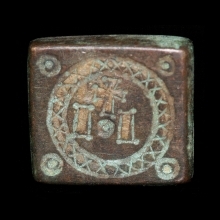 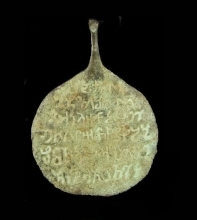 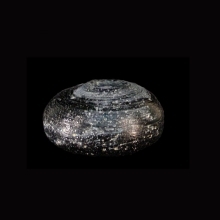 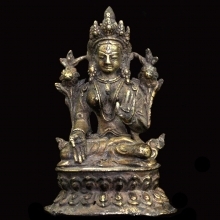 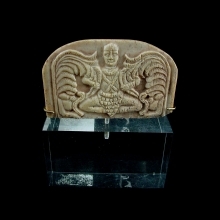 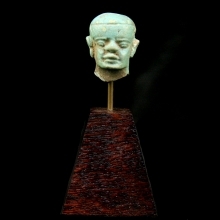 A Chandraketugarh steatite stamp or mold. 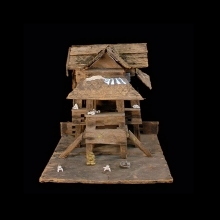 Thai antique wooden 'spirit house' with spirit figures. 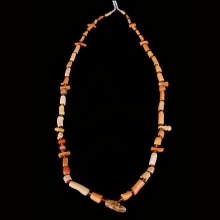 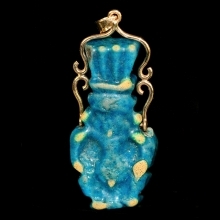 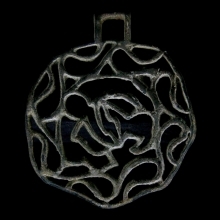 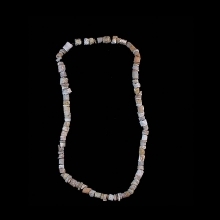 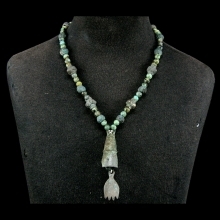 Iron age fossilized coral, carved beads; temporarily strung into a necklace. 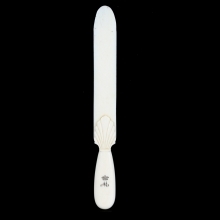 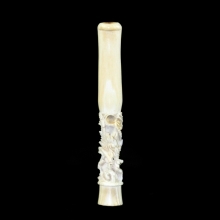 A Qing to Republic carved ivory cigarette holder with dragon motif. 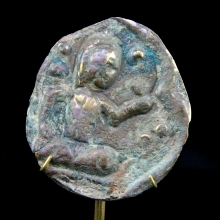 Silver foil foundation deposit (reliquary) with pressed image of Buddha. 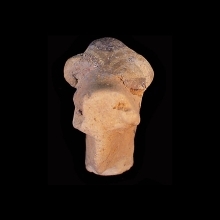 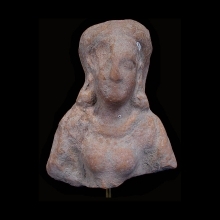 An Indus Valley clay female bust. 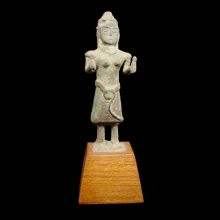 Indus Valley clay figure in form of a female deity. 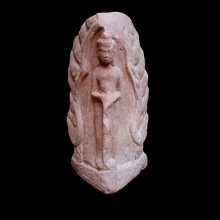 A Khmer sandstone relief carving of a guardian figure. 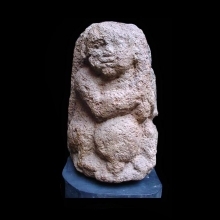 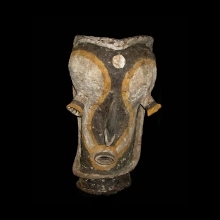 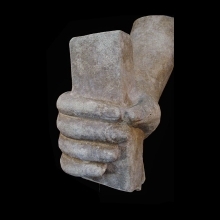 A Javanese volcanic stone statue with anthropomorphic features. 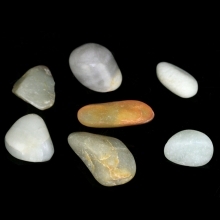 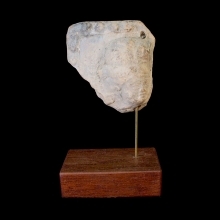 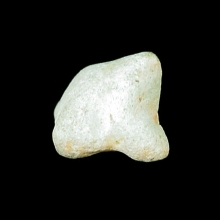 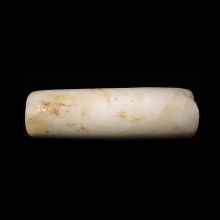 A Neolithic aragonite (fossilised shell) cylindrical bead. 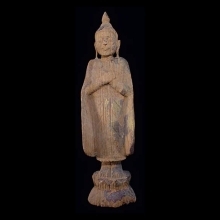 A Burmese Tai Yai style wooden figure of Buddha standing on a lotus pedestal. 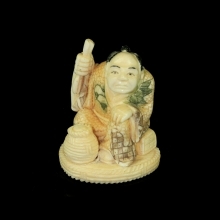 Japanese painted ivory Netsuke carving of a seated man holding a scroll with basket. 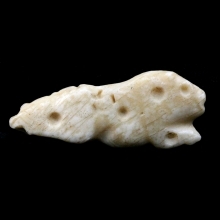 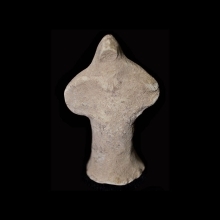 Diminutive Indus Valley clay figurine of a crocodile or lizard.